I wanted to say a big "Thank you" to friend Sue Strongman for mailing me these two awesome color kodaks she took at Van Isle Dragways when she worked on the return lane handing out times. 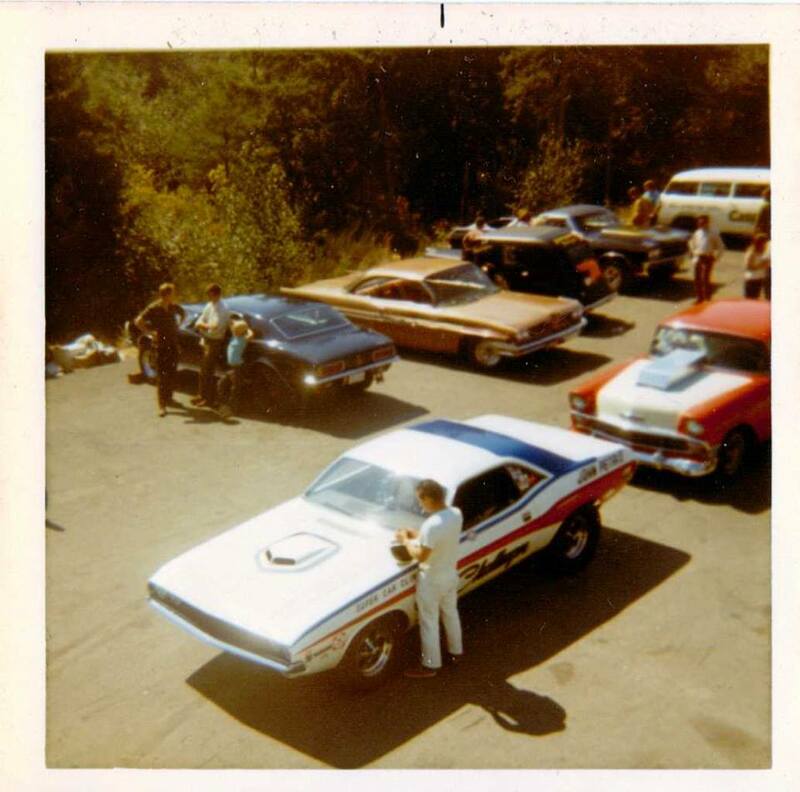 The one shot shows John Petrie's Challenger in the pits with maybe John himself standing beside it? This shot was taken from the Van Isle tower. The other shot shows the Dodge Dart "Bad Behaviour" being towed on its trailer up the strip! Thanks again Sue for thinking of me and sending these two great pieces of awesome nostalgia from Van Isle!